Since the dawn of human civilization, our species has been awe stricken with what we see above us. As the night sky would be our companion in the dark, stories were told, patterns were seen, and that sense of awe was never lost. If you live in a major city, odds are you don’t see too much of the night sky anymore. Light pollution has whited out much of what could be there. If you have some spare time on a clear night, drive an hour out of the city. Find a small patch of non-civilization and take a look at the night sky. When you think about it, our star is just one of billions in our galaxy alone. And our galaxy is just one of billions in the universe. We look around our planet and we think that it is large, it is limitless. 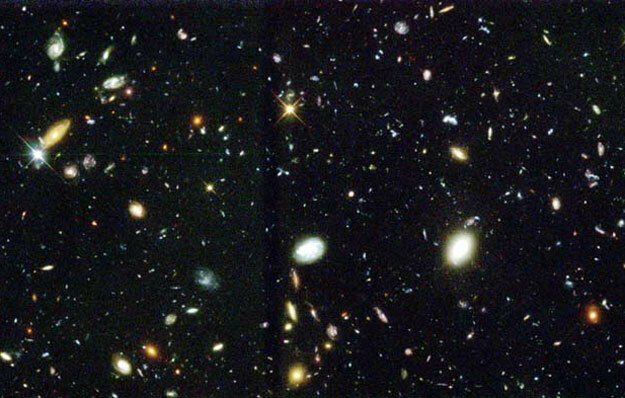 But really, it is a tiny speck when compared to everything else. The night sky is a wonderful way to gain a little bit of perspective on yourself and your place in everything. On the one hand, it makes you seem so small, so insignificant, that when you think about all of your worries you realize they really aren’t that big a deal. They’re manageable when compared to the massiveness of everything else. On the other hand, with life being as rare as it is, and intelligent life being even rarer, take a moment to truly appreciate being alive, to appreciate your surroundings, to appreciate the planet you’re on. Not only were the circumstances for life as a whole perfect on our small little world, but through many factors, your own existence came to be. How many others are you sharing the night sky with? How many others are starting at the same point in space at that very moment? Take a moment to really appreciate the preciousness of life.